Communities in northeast Ohio are affected daily by the rising incidence of opioid overdoses. The Cuyahoga Medical Examiner’s Office reported at least 61 heroin- or fentanyl-related deaths in a single month earlier this year. 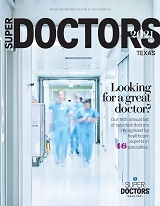 The alarming death rate brings the gravity of the situation home to physicians in the area. “There’s no more playing around with this,” said Jason Jerry, MD, until recently an addiction psychiatrist at the Cleveland Clinic’s Alcohol and Drug Recovery Center. Dr. Jerry, now with FirstHealth Moore Regional Hospital in Pinehurst, N.C., is a recognized leader in efforts to curb opioid abuse and misuse, and he and his colleagues use medication-assisted treatment (MAT) to help patients with substance-use disorders through recovery. They have cared for patients with opioid substance issues since the mid-1990s. To that end, Dr. Jerry and other physicians at the center were joined on their rounds by medical residents, who rotate on the center’s inpatient detox unit. He served as a mentor to one resident each year, in addition to teaching medical students interested in addiction medicine. Think twice about putting patients on opioids for chronic pain. Minimize the prescriptions you write when you do need to write them for acute situations like postoperative care. Consider alternatives. After arthroscopic knee surgery, for instance, why prescribe an opioid when ibuprofen works just fine and has an anti-inflammatory effect that opioids don’t have? Don’t write a one-month prescription. Write for just a week, maybe two. Before they leave the Cleveland Clinic, many patients also benefit from Project DAWN, an opioid overdose education and naloxone-distribution program that was founded by Cleveland emergency physician Joan Papp, MD, an assistant professor at Case Western Reserve University’s medical school. The AMA Opioid Task Force has been working for several years to increase access to naloxone, the life-saving opioid overdose antidote, increase access to MAT for patients struggling with substance-use disorder, encourage physicians to register for and use prescription drug monitoring programs (PDMP), reduce the stigma of substance-use disorder and educate patients and physicians on the matter. Two new educational modules on what every physician needs to know and on chronic pain management are available in the AMA Education Center. They can help physicians in their efforts to battle against opioid abuse and misuse in their practices. The American Board of Preventive Medicine now offers physicians who are certified by a member board of the American Board of Medical Specialties the opportunity to become certified in the subspecialty of addiction medicine. During the next five years following the date of the first exam, physicians are eligible to become board certified in addiction medicine without completing an addiction-medicine fellowship. Physicians interested in taking the exam and becoming certified in addiction medicine need to complete the application on the ABPM website by June 30. The exam takes place in several locations Oct. 16–28. Learn more.